First week of summer has started and I look forward to how many things I can do with all these seasonal delights. I try to catch every moment to cook something with berries. I like to eat them raw with honey and yoghurt mostly. But you know how heavenly berries smell when are baked? I can’t keep control over myself, honestly! 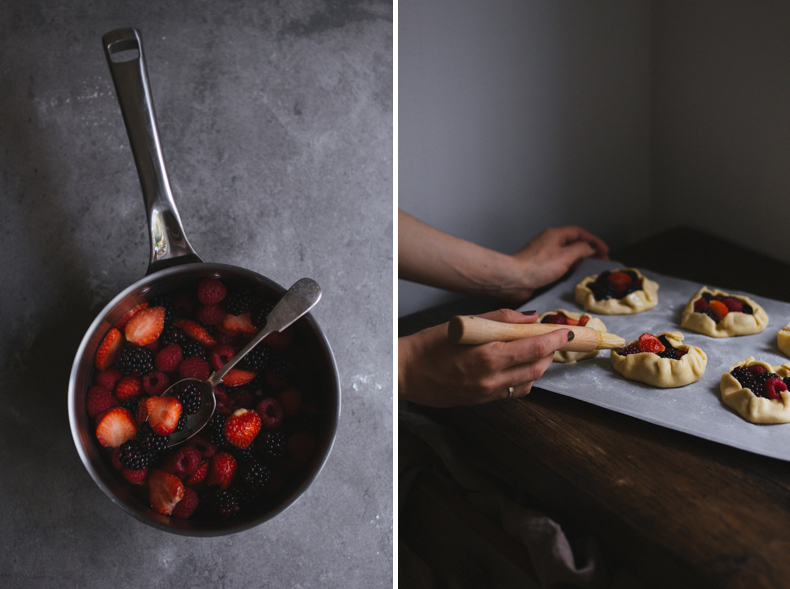 The simplest thing I like to do with seasonal berries is making galettes! Sometimes I eat too much berries and start to think that I should slow down. I know, you though how could it be too much, but trust me it can. I’ve never made galettes until last summer. Now it’s my simplest way to utilise surplus of seasonal berries and fruits! 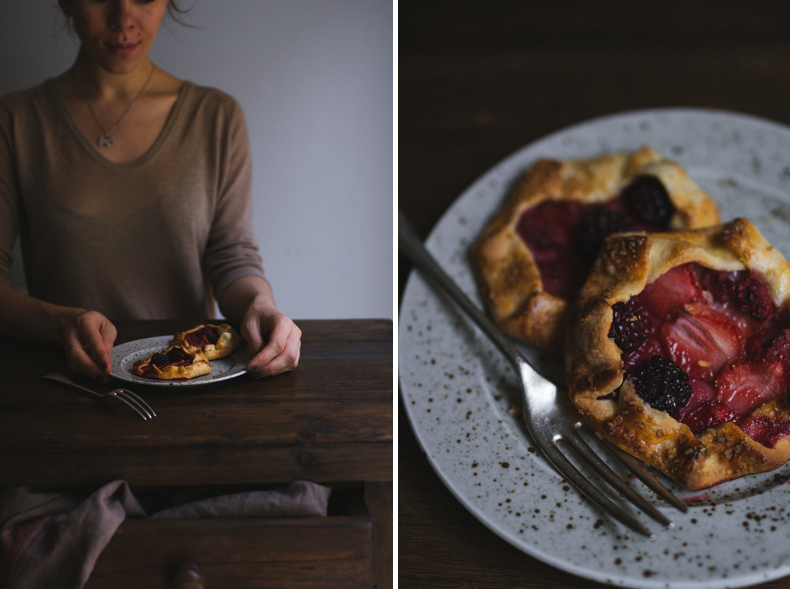 Few weeks ago I made savoury potato galette with wholegrain flour and it was really good. You can find the recipe here. 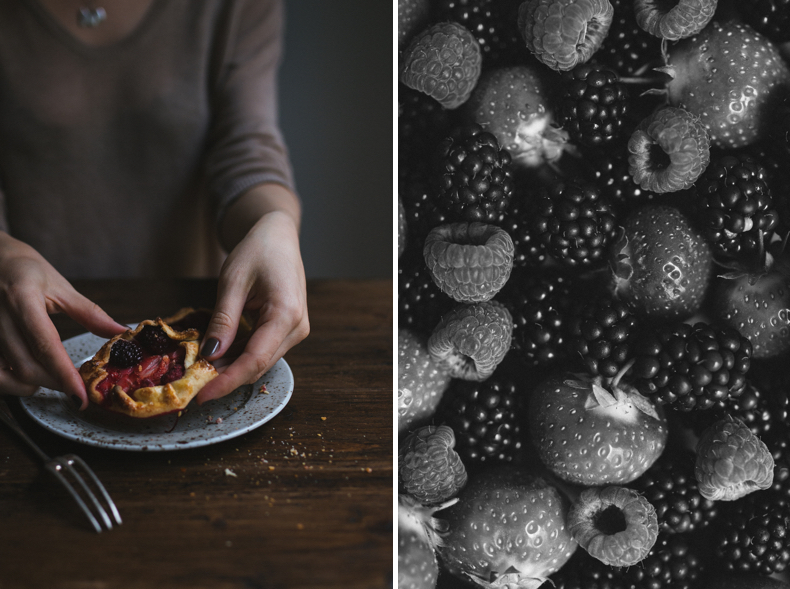 Today I started with berry galettes. 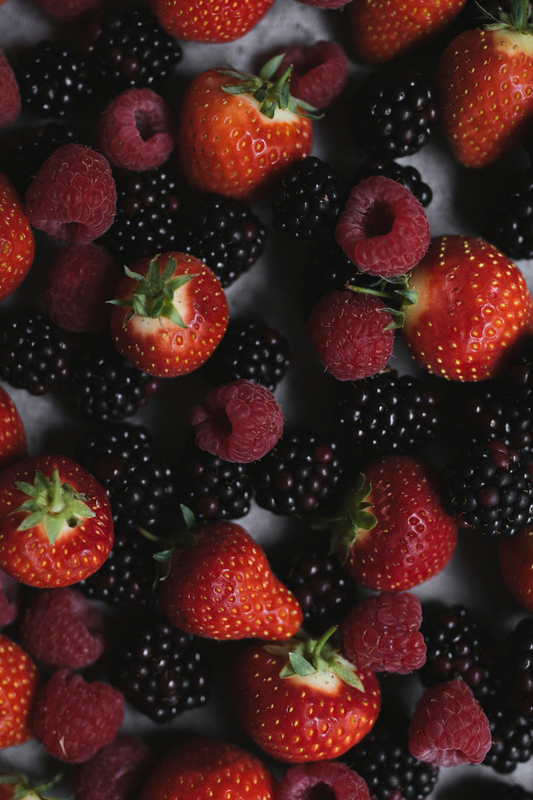 I used a mix of seasonal berries – strawberries, raspberries and blackberries. I made the dough by adding cream cheese and salted butter and I like my result! The dough is sweet and crusty and the filling is sour and juicy. Cut the butter into small cubes. Sift the flour onto the working surface. 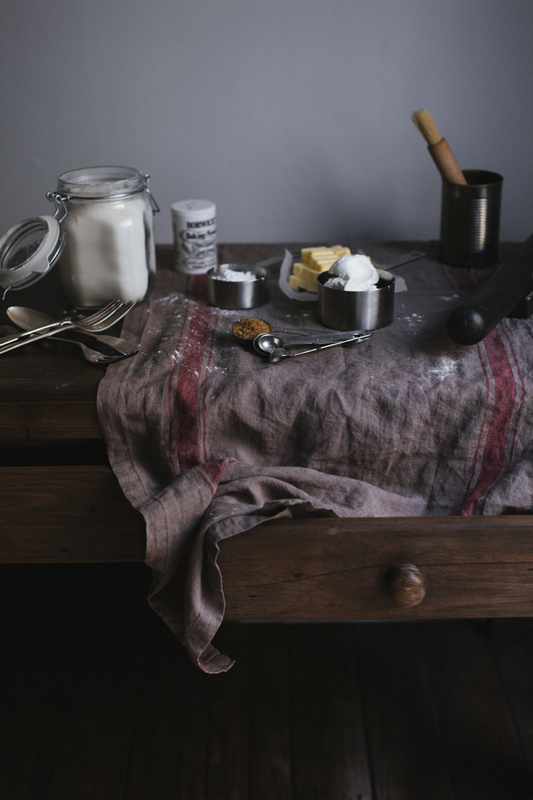 Rub butter cubes into flour with a knife and continue rubbing with your fingers very quickly. Butter shouldn’t begin to melt! Add cream cheese while continuing rubbing. Pour the water slowly and knead the dough. Add some flour if needed. Don’t knead the galette dough until it is too smooth. Just make dough you can roll out. If it will contain pieces of butter, don’t worry, it’s even better. 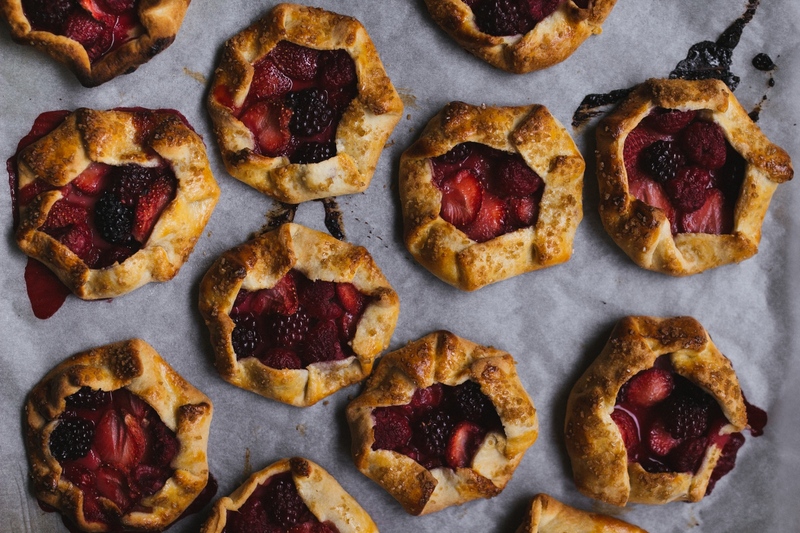 These butter pieces will melt in the oven and your pastry will be amazingly crusty! Sprinkle the dough with flour and cover with cling film. Leave it for a 30 minutes in the fridge. Meanwhile wash the berries (I used strawberries, raspberries and blackberries). Cut them into pieces if they’re too big. 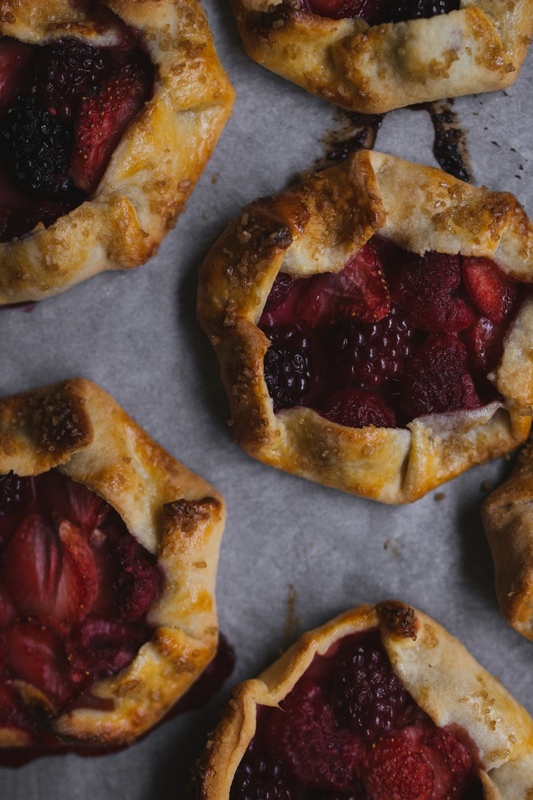 If you want sweet galettes, you can add a few tablespoons of sugar into the berries. But the dough in this recipe is sweet enough so I left my berries without sugar. And result was good. 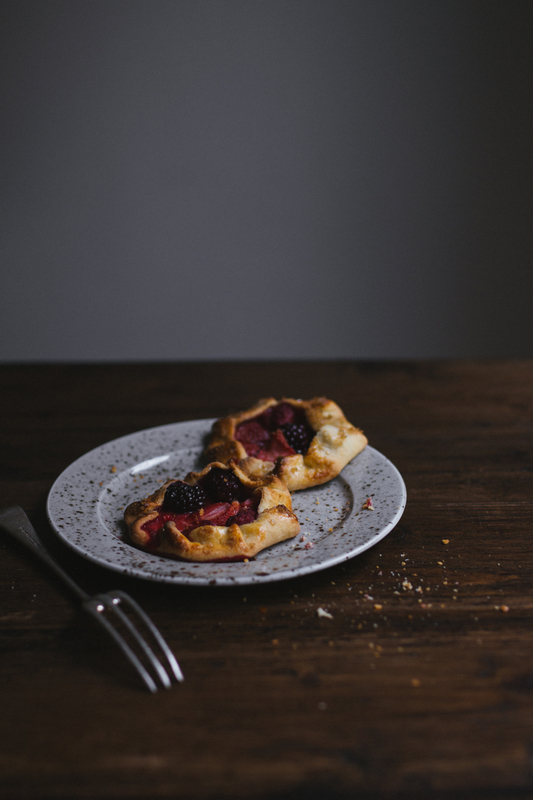 Sweet cheesy crust and sour berries. Take the dough from the fridge. 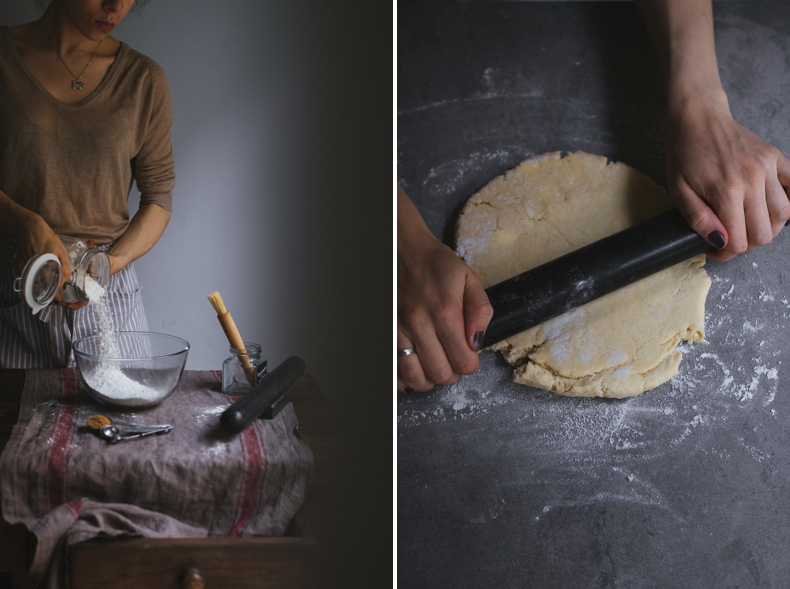 Roll it into a thin layer (2-4 mm) using a rolling pin, sprinkle the working surface with flour all the time. Cut about 14 circles, 12-14 cm in diameter. Place berries into the centre of each circle leaving 1-2 cm edges. Fold the edges up around the filling. Beat the egg yolk with milk and grease the top of the galettes. Heat the oven to 180 degrees C and bake the galettes about 10-15 minutes until golden brown. Serve warm. With a scoop of vanilla ice-cream or sprinkling with icing sugar.